Do you ever feel like there are just no more ideas? Nothing new under the sun? I recently made four layouts, most components, if not the whole layout were ‘lifted. My sisters and I have silly nicknames for each other. “Les a pes”, “Michelle a belle” and “Suzanne a man”. I seriously love my new room. I can set up my laptop, so I can watch movies and print pictures. I can get to everything easily. 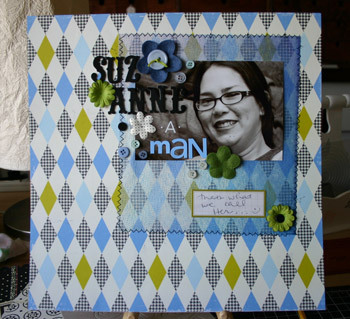 Can’t you tell – I’ve been scrapbooking so much lately. Loving it!! 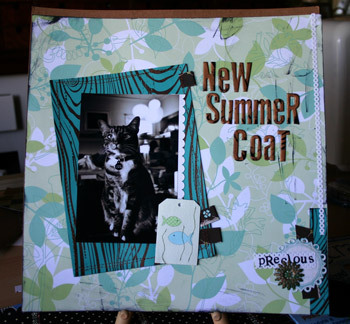 Your kitty pages are so cute! ..and how cool is that pattern on Suzanne’s page. I would love a pair of knee highs in that pattern! i love these les! sometimes a lift is what we need to get us going. it’s all inspiration ! 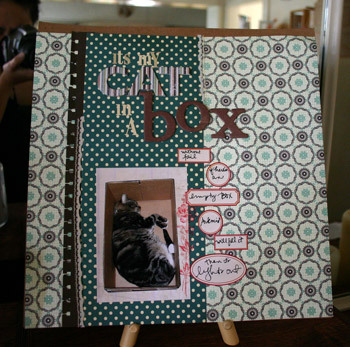 I love the photo of your cat in the box. Mine loves his cardboard box, too. It’s amazing how they love the simple stuff more than their toys. This crazy month is almost over. I will be working on our photo swap stuff soon. Michele sent me to say that even if you are lifting ideas, it looks like you are keeping busy! Keep it up. But scraplifting is its own creative process too Leslie. Unless you simply copy the layout you’re scraplifting from, the exercise of identifying the elements of the deising that inspire you and you want to adapt is a creative think in itself. And your layouts are great. 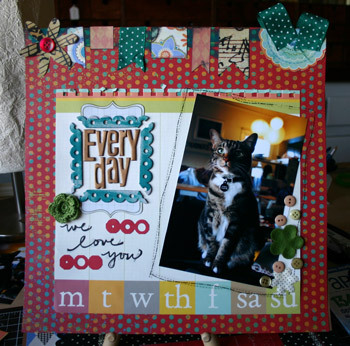 Scraplifting is cool and great for when your own mojo needs a boost! Fabby LO’s I love ’em all! Love that everyday layout!!! I will have to scraplift it! Wonderful job on everything! Michele sent me to say hello. I appreciate your artistic ability. Very cool. beautiful layouts! 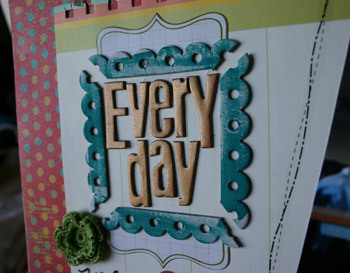 My favorite is “Everyday”. I love how you combined the October Afternoon pps with the Daisy D’s. Beautiful color combo.